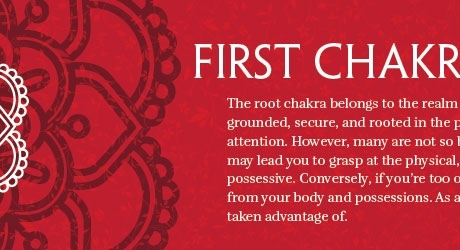 Our second chakra, located in the abdomen, is the center of our feelings and creativity. Through this chakra, we begin to understand our reactions to our inner and outer worlds, and decide how we are going to express these reactions. 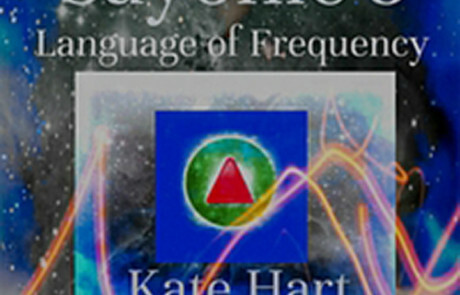 Feelings originating here are generally “softer” than feelings stemming from the first chakra, and the healthy way to work them out is through creative or emotive expression. This center is particularly important to women, who, I believe, store most of their life energy within it. Regarding physical processes, it is linked to the intestines, abdominal organs, and female reproductive system. Also, the sacral chakra controls our sexual energy and creativity. You need only press two inches below your navel to feel its location. The gift of a balanced sacral chakra is expressiveness and flair. A blockage may result in resistance to new ideas. A sacral chakra that’s too open is evident in the “drama queen” as well as in all reckless behavior, form bed-hopping to dangerous driving. From age six months to two-and-a-half years, we separate ourselves from our mother. Her ability to separate with love and our father’s ability to support this behavior will reflect in our second chakra. This separation and our emerging sense of self and relationship can bring up feelings such as sadness, calm, fear, hope or enthusiasm. Messages we receive regarding our right to have and express these feelings actually affect the development of our feeling bodies. Feeling bodies are energetic constructs located within the second chakra. Seen this way, we can approach each feeling as an individual entity. Sadness, fear anger, joy – each feeling is an individual identity, arranged next to each other like colors in a rainbow. Like colors, feeling bodies blur into each other. Sadness, for instance, may flow into grief; contentment slide into happiness. Like colors, individual feelings are gradated. The feeling body of anger can intensify into rage or dissipate into frustration. When healthy, each feeling body appears full and ready for activation and expression. If a loved one dies, our sadness feeling body will vibrate. We will feel sad until that feeling has been appropriately dissipated. The feeling body will then return to a calmer state. If we were raised in a healthy emotional environment, the system works. Something internal or external stimulates a feeling based reaction. One or more feeling bodies vibrate, and we respond. Our internal or external environment shifts. Quickly to gradually, the feeling bodies deactivate. We return to equilibrium. The key word is “if,” If we were raised in a healthy emotional environment. How many families are really functional? Expert opinions insist that anywhere between seventy five and ninety-five percent of our families are dysfunctional. Most of us received incorrect messages regarding feelings, resulting in repression, over-stimulation, or actual injury of one or more feeling bodies. Short term infliction is the most reparable. For instance, say one of our high school teachers shamed you for failing a test. Embarrassed, you repressed your instinctive response, which was disappointment in yourself. A discussion with a loving parent would alleviate the shame and help you express the disappointment, thus enabling a release-even though it’s a bit late. Your disappointment feeling body would probably not suffer long term injury. Chronic or severely acute damage, however, often results in a more permanent state of disease. Sexual, physical, emotional, or verbal abuse can cripple one or many of our feeling bodies. Here is a picture of how this works. A healthy sadness feeling body could figuratively be described as a perfect circle. Let’s say that your dad doesn’t thing sadness is okay to feel; instead of getting sad, he gets angry. Remember, sadness is an actual energy- a frequency in motion. In his desperation to not feel sad, Dad cuts out a section of his sadness feeling body. Where does it go? You pick it up; it has become displaced in you. You have spent most of your time trying to shake it off an extreme state of sadness or depression, but to no avail. Depressed, you try therapy, Prozac, vitamins. You attract lovers who hurt you in an attempt to stimulate the sadness away. Nothing works, and you feel even more sad and helpless. I am completely passive and let the divine force act within me and for me. I know that the Divine wants only the best for me and helps me at any time and place if I allow that. Crystal Correction: Carnelian: this variety of quartz is beautiful for opening the sacral area. Though it can be found in many colors, the stimulating qualities of red or orange give courage to the timid. This enables us to pursue our dreams, without fear-based illusions blocking our path. Conversely, if this chakra is too open you may require lapis lazuli. This historic light blue stone was highly valued in ancient Egypt and Babylon. Today, we can use its moderating properties to help us act with care. In Crystal, Gems & Metal Magic, Scott Cunningham writes: “Simply touching the body with this stone improves your mental, physical, spiritual, psychic and emotional condition.” For optimum benefits to the 2nd chakra, res this stone as long as desired. Other Crystals and Gems: Gold Topaz, Coral, Orange Calcite, Amber, Citrine, Carnelian, Peach Aventurine, Moonstone. Psychological: Freedom from “No” Abuse, Wounded. Awareness of feelings and the right to express them; world/family views about gender roles and sensuality issues. Beliefs about expression and creativity. Feeling Component: Development of subtle feelings, choices about which feeling bodies to activate and which to become numb. Mantra: I am complete within myself which allows me to release expectations and move into appreciation. Spiritual Perceptions: Development of trust in self and our own feelings, plus empathy and beliefs about the right to express and feel. Root of the right to be creative and expressive. Center Physical Processes: Growth, motor skills, owning of our own body and its subtle needs, ability to motivate our own body; development of sensuality. Descriptors: Water elements and water animals such as fish and lizards. Its yang element involves how we express feelings to others and create with in the world; the yin aspect involves absorbing or interpreting others’ feelings, making self-judgments about our own feelings and creativity, and being able to take in the life energy needed to feel and create. Source of: Feelings, creative energy, birthing and gestation activity (for babies, businesses, ideas, projects- anything), women’s power. Seat of: Feelings and our awareness of them (feelings being the language of the body), creative abilities, female identity. Energy Type: Chi energy, which is seen as life energy in the Chinese system. Physical Communications Style: Involves feeling and expressing our feelings through the appropriate physical medium, such as crying, screaming and laughing. 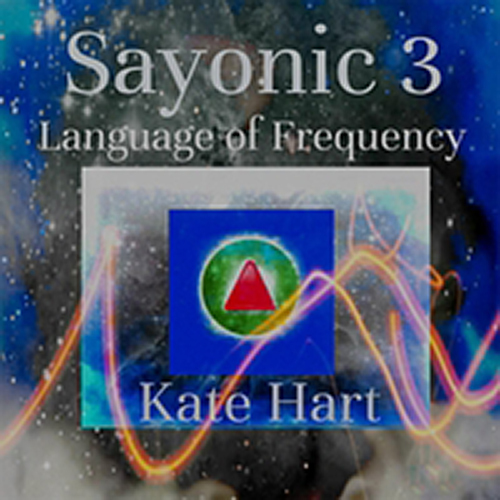 Psychic Communication Style: Known as feeling empathy, the ability to experience our own or another person’s feelings for the purpose of understanding and clearing self-destructive beliefs. This gift helps us dissect emotions which are feelings joined with thoughts (as in, “I am angry, therefore, I am bad”). Intuitive Communication Style: Uses feeling empathy to learn a soul lesson or help integrate the soul more fully into the body. It could involve experiencing our soul’s feelings as it more fully integrates into the body. Problems: “It is” issues, such as diverticulitis and colitis, appendix disorders, kidney problems (childhood issues), fertility issues, women’s issues, such as PMS, candida, ovarian disorders, uterine problems, issues from stored, stuck or unexpressed emotions from self or others, co-dependency (literally taking on or storing another’s feelings), creative blocks. Contains: Feelings of self and others. Mental Belief: Awareness of feelings and the right to express them, world/ family views about gender roles and sensuality issues. Beliefs about expression and creativity. Physical Processes: Growth, motor skills, owning of our own body and its subtle needs, ability to motivate our own body, development of sensuality. Dhyani Mudra: Gesture of Meditation: Put your hands in your lap, palms up, on top of each other. Left hand underneath, its palm touching the back of the fingers of the right hand. The tips of the thumbs touch gently.